Reading Bident’s Maurice Blanchot – A Critical Biography (expertly translated into English by John McKeane) is a challenge; first, because the nature of writing a biography of an author whose great task was a self-effacement (a Hegelian revelation -by way of Bataille’s sacrifice- of oneself into Nothing by a continual sacrifice to text given up to Others) is almost an impossible, fragmentary task, one that demands a continual construction of events and history so that a largely unknown but real figure may be projected into those events. Secondly, the text is challenging in that its subject is one whose thought is constantly challenged, a figure whose writings are given to an interest in paradox, dialectical movement, and contestation, who – it seems – navigated internal paradox, movement, and contestation in those historical events that the biography must construct around them to reveal them. All this in a world after disaster, after a whole new thought appeared to open up the possibilities of the world, only to condemn the world in turn: Blanchot who received from Being and Time “a true intellectual shock” would write in 1987, “[his speeches are] equally frightening in form and in content, for Heidegger invoked this very writing and this very language – through which, in a great moment of thought, we were invited to the highest interrogation that could have come to us from Being and from Time – to call for votes in Hitler’s favor, to justify Nazi Germany’s secession from the League of Nations, or to praise Schlageter. Yes, the same sacred language, maybe slightly cruder, slightly more emphatic, but it would make itself heard up to the commentaries on Holderlin…” (“Thinking the Apocalypse”). It is only natural for there to be a turn towards judgement, to seek out silence that seems surely to keep something hidden. A biography of this someone who became the elusive, authoritative voice of French Literary canon (“the French modernist canon, for which Blanchot more than anyone else was responsible: Sade… Mallarme, Bataille, Klossowski, and of course Blanchot himself”) (Frederic Jameson, Valences of the Dialectic) cannot confront the intertwining connections between thought, writing, and politics upon the basis of simple facts – the scene is marred by a trauma and opportunism, a swarm of connections, friendships, and engagements that seems overwhelming. This life appears only through testimonies, letters, and the subject’s stories and essays that intentionally attempt to efface the writer, making uncertain events that are claimed true. To construct any account the question is forced: is this effacement, this writing, confession? Is it cowardice? Is it opportunism? 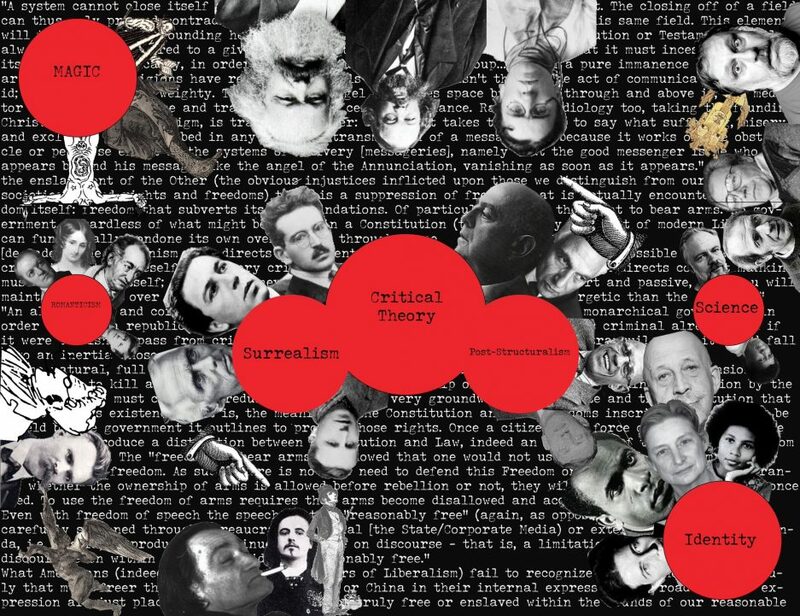 Already (and for some time, before my time) the new networks of the internet have established whole new circles of what we may loosely call intellectuals, theorists, or writers, that seek to engage in, or dismantle, the politics of our time. One cannot but help, in the untamable influence of these networks, but hear the call of that aristocratic, atomic fascism that the figure of Blanchot was tied to, his shadow a valley walked by names like Land and Yarvin. Before, in the mire of Blanchot’s time, there was the struggle of modernism: to “make it new”, to see the whole range of history as it seems laid bare. But how (this was the real question) to confront it? Even to “turn back” is an invention, expressed in the intentional Fascist myth. Even the rejection of such “made myth” appeals again to the invention of the unique, aristocratic individual of will – an atomic fascism of Evola’s mysticism, of the early Georges Sorel’s mythic violence, of much of the French Ultra-Catholic tradition that Blanchot gave himself to and proudly wrote for with texts given titles such as “Terrorism as an act of Public Safety.” Indeed, what seems so difficult to engage with, to confront, in Fascism is that it doesn’t necessarily demand an illusion that it is not invention – it is, at core, about “action”, to “change the world.” One again sees that haunting cry for authenticity that comes from “Being & Time,” a cry to devote oneself to a project. What project? We know too well and too often. Now that project is itself turned into the postmodern, a violence that is pastiche, an acceleration and action that comes from outside what is human. A dark legacy for anyone to be sure. The question must come back as something slightly different: is there a movement (a moment?) that one may, though not necessarily must, reach where the apparent demand of the inner experience that is so privileged in these artists reveals itself incomplete not only as a struggle to establish an impossible world in art – a new myth at once in the grain of, and in opposition to, the myths of old – but incomplete as it’s own basis of struggle and demand? Aesthetics that impose on themselves the fact that they cannot pander to an audience, not because of the holistic power of “the work”, but because there is no way of knowing who the work is for. Aesthetics that ask of themselves, that take up the task demanded by themselves, that they admit to not being enough, not merely enough in the web of interconnected readings, genres, techniques like late-postmodern pastiche, but not enough as action itself? Art that admits it is not the world, that its very material is so barely in the world that it demands those in the world to take up the place of what art can never be – a change? An act of justice? A friendship? If we don’t believe that people can’t change their political positions honestly and legitimately through their own processes of thought under their circumstances then we have a dangerous problem. Should we believe most people are either purely opportunists who take hold of currents in the name of extremism, or otherwise only capable of adjusting their thought through an exterior kind of reason that is not their own? “The realm of Death expands. And since Death is to Life as Night is to Day, when Death’s realm expands, Life’s contracts. The inhuman tale truly signifies nothing human. Having mentioned some of the main protagonists who set themselves up against human communities and against Mother Earth herself, I’ll turn to a small group of people who who withdrew from the entrails of one of the great Leviathans. These people were insignificant to everyone but themselves at the time of their withdrawal and would have remained insignificant if their Jewish, Christian and Islamic heirs had not carried the shadow of their withdrawal to every previously safe refuge on the globe. All this circles around a writer who, in self-effacement, continues to be read, criticized, acclaimed, and stands empty as an unclear political vessel. To read the account of this life offered by Bident is most engageing in the simple chronicle of the events, statements, and company of a reactionary life, often avoided, abstracted, or nervously shrugged off by the usual testimonies, that very necessarily complicates the latter voice that speaks of justice, internationalism, and communism. For those of us that have passed through to the left in the passage of this writing is an opportunity to see the alternatives, the disjointed path that we don’t wish to accept bears such similarity to our own thinking. It asks us, too, to consider how and why it seems so often that progressive revolutionaries are thrown into the current of reaction, while we seem to save so few from those waters in return. Do we wish to save any? Or is there evil too transcendent, too dangerous, a problem we must await again and again with the solution of the guillotine’s virtuous edge? Perhaps history has proven that these interactions with writing as-such, with this abstract and obscure figure, are redundant. Nonetheless, the writing, the voice, is here, and perhaps the biography reminds us that – no matter how redundant the figure may seem – the biography, the accounting of life, will come. It may be demanded of us.